Below is an expandable and interactive map of Bermuda. If you are new to the island of Bermuda, start by clicking the main places of the island distinctly shown with colored markers. The map has markers for each of its nine parishes or counties. Additionally you will find marker for the Royal Naval Dockyard (Kings Wharf) located at the western tip in Ireland Island, the lovely South Shore Park which is famous for its several pink sandy beaches, Hamilton City (Capital of Bermuda) which is located centrally, etc. At the Eastern end is St. George's Town which is a UNESCO World Heritage Site and the former capital of the island. Bermuda's airport is also located at the eastern end in St. David's island. When you click a marker on the map, you will see description of the place and understand its significance. When you expand the map, you will see most of the roads and landmarks including many tourist attractions of Bermuda. However, sometimes it's easier to refer to simpler maps that focus on a single subject. For example a tourist map that shows only the location of main tourist attractions of Bermuda, or the one that shows only the great beaches, or the great restaurants, or hotels. So here are some more maps of Bermuda for you. Bermuda Parishes Map: Bermuda is divided into nine parishes or counties. Capital of Bermuda is the City of Hamilton. There is a parish in Bermuda named as Hamilton Parish. We were initially confused if both were the same. Answer is NO. The capital of Bermuda, that is the city of Hamilton is not even in the Hamilton parish. It's in Pembroke parish. So if you are new to Bermuda, this is a good simple map to look at. It shows in a simple way what and where the parishes of Bermuda are. When you click on a parish in the map, you will see a blown up detailed map of the parish itself. There are also links for detailed information about each parish with pictures. Bermuda Tourist Map: A vacation in Bermuda is never complete unless you have visited some of the great tourist attractions like the museums, aquarium, historic buildings, churches, forts, caves, park, reserves etc. We have been to all such tourist places in Bermuda during our many vacations. This Map should give you a good idea of where these great places are and the main roads leading to them. 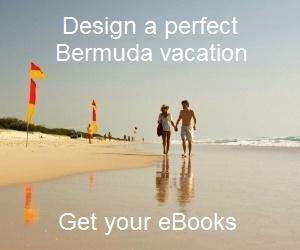 Bermuda Beach Map: We have been die hard fans of the Bermuda beaches. This actually prompted us to create a separate Bermuda beach map showing the location of the beaches. The idea was to have a quick location reference for our favorite Bermuda beaches. Once you visit the map, click on a circled beach number and you will see all the details about the beach including some lovely pictures. Bermuda Hotel Map: This map will help you find the location of well known hotels in Bermuda. Nowadays when we come to Bermuda, the first thing my son does is to sell us the idea of a particular beach that he wants to stay close to. Once done, he would quickly get us to refer to the Beach Map and the Hotel Map together to then sell us the idea of which hotel to stay at, so that we can be comfortably close to the beach of choice. Well if you are planning to do something similar, then these two maps together can be quite handy to plan your stay in Bermuda. Map of Hamilton City Bermuda: You can see all the main roads of Hamilton city including the front street. This should give you a fairly good idea of Hamilton city's layout. Map of St George Bermuda: This is a neat map of the town of St. George Bermuda. This will give you the road directions to all the important places in St George. Bermuda Dining Map: Here is a dining map of Bermuda showing the location of all the top restaurants in the island. Hamilton and St. George's restaurants are shown in separate maps. Hamilton Dining Map: This dining map shows the location of all the top restaurants in Bermuda's Hamilton City, the port capital. St George Dining Map: Shows the location of the best restaurants in St George's Bermuda. Hamilton Shopping Map: Hamilton City, the capital of Bermuda is where most of the best stores are located. This map will help you find the top stores in Hamilton city. Map of Kings Wharf & Dockyard: This is a map of the dockyard complex which not only has two berths (Kings Wharf & Heritage Wharf) where the cruise ships dock, but is also a top tourist attraction in Bermuda with many historical buildings, fortifications, museums, parks etc. Detailed Bermuda Map (PDF File): If you are still unable to find the stuff that you are looking for, or you want far more details along with roads and directions, here is a great solution. This Bermuda map is probably the most detailed of all the maps I have seen so far and show where is what through a grid. This is courtesy department of Bermuda tourism. You will also get this map from a Visitors Information Center in Bermuda (known as Handy Reference Map). It's a foldable map. This is a PDF version which you can download and 9MB in size. Bermuda Triangle Map: Here you will see a map of Bermuda Triangle where the ships and planes mysteriously disappear. Bermuda itself is a corner of the triangle. The area is also known as the Devil's Triangle because of the superstition that Devil is at play in this part of the sea.